Should You Publish More Than One Book a Year? I recently read an article where the writer said they judge authors who publish 2+ books a year, claiming there's no way those are quality stories. It takes me a year and a half to get any book in my Merging Worlds series ready for publishing. Since the stories are 500+ pages, certain stages in the process- editing, beta reading, formatting- take months. Is it possible to release 2 or 3 high-quality novel length stores a year? Probably. Full-time indie or small-press authors may be able to do it. Though, 3 novels may be a stretch. Some authors will write shorter books (novellas)- ones that are no more than 200 pages. Years ago, I studied a best-selling author who didn't do any marketing. He just wrote a lot of books. They were all short so it took him about 2 months to finish them. I do something like that. I release one novel and two novellas each year. Before I started my full-time job, I could finish a novella in a month and a half. Since I do the formatting and cover design myself, I can control how long that part of the process takes. Since those stories are shorter, editors and beta readers go through them faster. You can publish 2+ good quality books a year if most of them are short. I don't know if the one book a year model even works anymore. A couple of years ago, I read articles talking about readers' short attention spans. 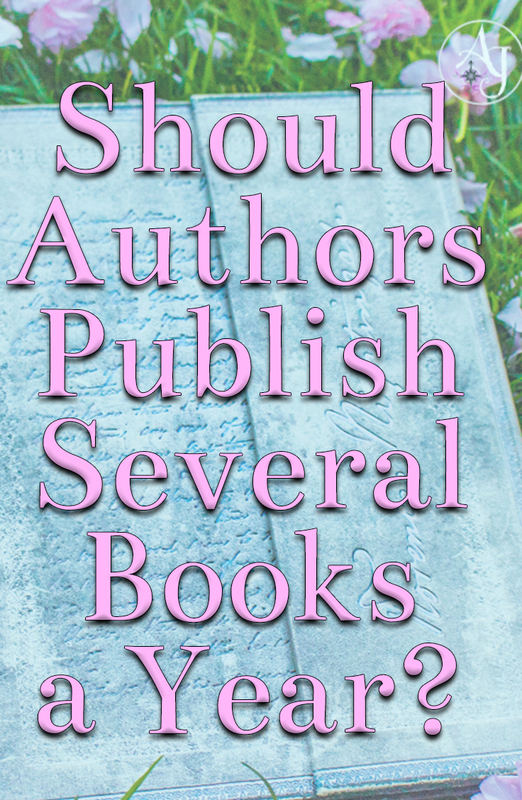 Most aren't going to wait a year for an author to publish their next book. Unless that author is a mega-bestseller, then fans will wait however long it takes for them to publish their next book. But, reaching that stage is difficult. Most authors don't get to that point. What do you think? Should authors publish more than one book a year?